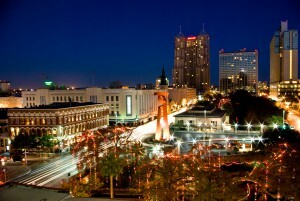 Our process servers in San Antonio provide legal services in Bexar County. Since 1980 we have sought to constantly improve the process server industry. Each Professional Civil Process server is licensed and sworn in by the Supreme Court of Texas. Our process servers in San Antonio provide fast, reliable, and professional service every time they serve a paper. We have deployed the latest electronic document management system that enables our process servers in San Antonio to deliver real time status updates on individual citations. Professional Civil Process provides the BEST customer service experience in the business and our staff is equipped with the necessary tools required to handle your special process server needs. Whether you need a process server in San Antonio or service in another city in Texas, Professional Civil Process has the knowledge and experience to get the job done. Our customer service department is ready to answer any questions you might have. Call today and discover why so many clients recommend Professional Civil Process.